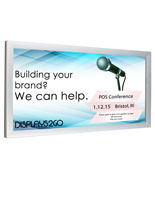 These 4’ x 6’ wall mounted banner frames are made to display large format prints their snapping covers. 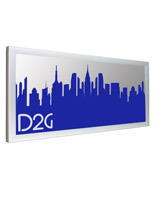 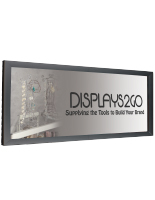 Each display is made of strong aluminum and mounts to vertical surfaces with a portrait or landscape orientation. 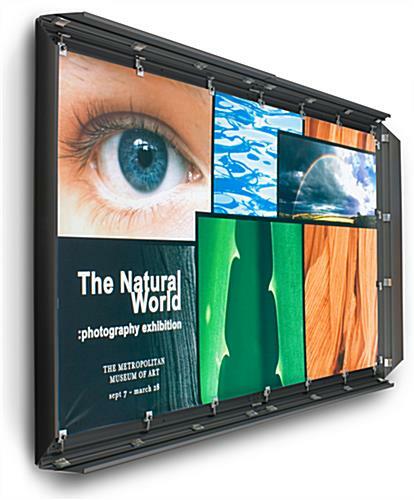 The wall mounted banner frames' clasps grip art with metal teeth that do not damage inserts. 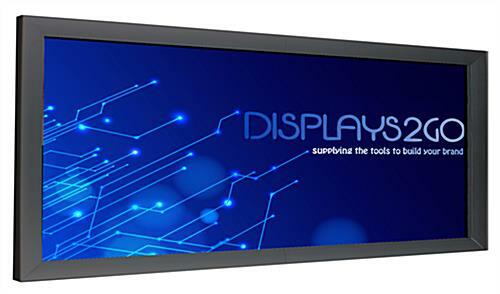 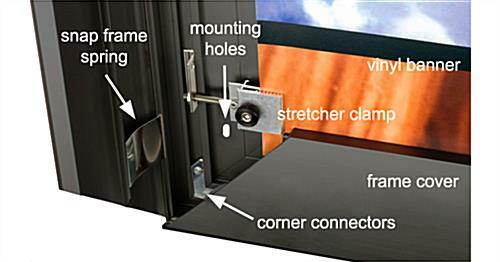 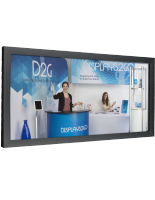 The large format displays include mounting hardware, which makes for added convenience. 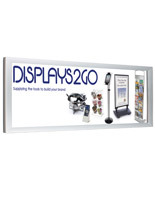 The banner frames can accommodate prints made on sheet metal, plastic and vinyl and can safely be placed indoors or outdoors. 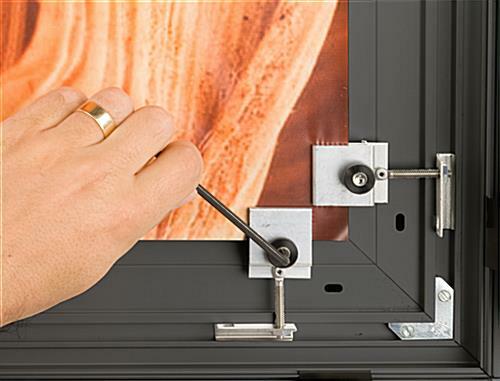 The aluminum art mounts create a sleek appearence by hiding their clamps, connector pieces and holes. 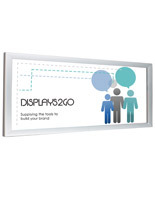 Please Note: This frame can be cut to any size up to 50'x50'. 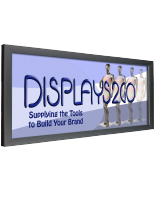 For a size not listed on our site, please call our customer service representatives so they can place the order for you.